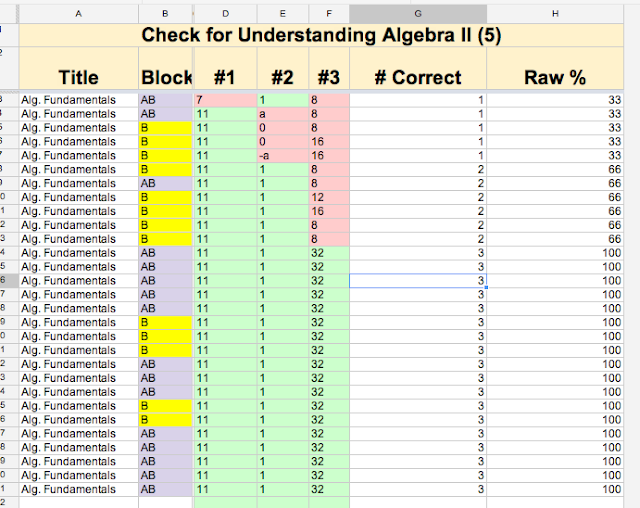 This year a new project I am undertaking is creating a Check for Understanding database of Algebra questions from texts, the SAT, the MCAS, and even @PMM888' brain. 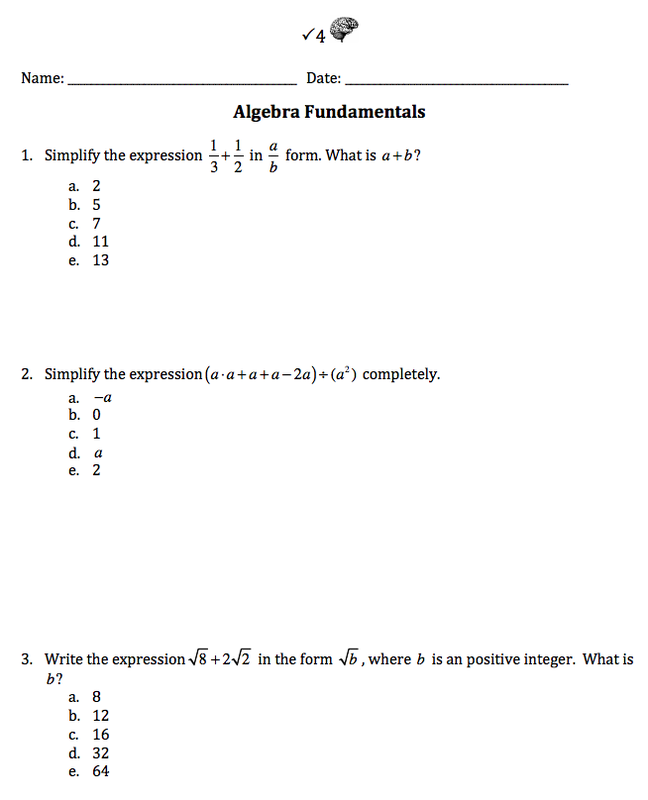 Each problem set will be 3 questions, and be easy, medium, and hard level difficulty. I have a corresponding quiz saved in Socrative, and I have students do this formative "Check" during class. I have it counting toward their class work grade. I stress that it isn't a quiz, but they must not help each other as I am trying to get data on each and every child in the class. 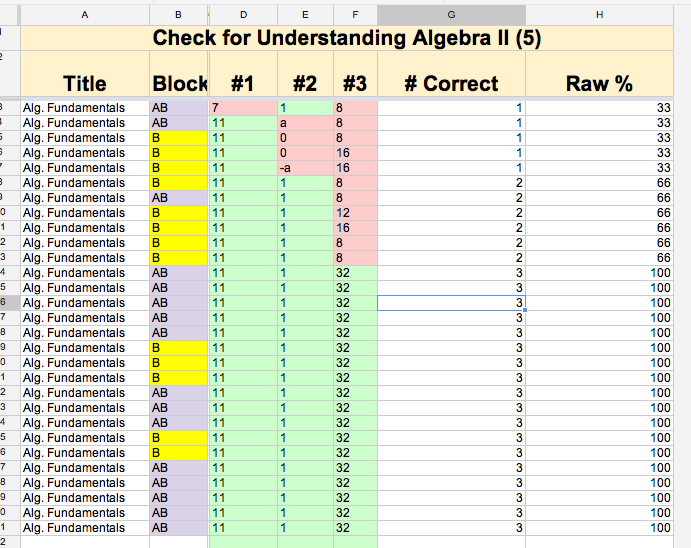 Below is a sample of the data that I get which I quickly upload to a Google Doc spreadsheet. The names are in column C and are blocked out. Notice that 11/29, or 38%, got question #3 incorrect. That was a @pmm888 problem! We'll review the findings tomorrow in class. How do you use Socrative? Any suggestions, besides buying an Apple TV, to deal with the iPad cable that often comes dislodged and makes the screen blank?